So, who is the new Titan? 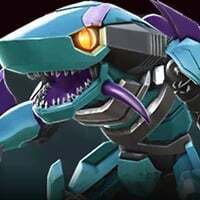 I know it’s way to early to be talking about the new bot for January, but who is this new Titan? I think it’s going to be Predaking, or possibly Unicron. Well there are only two Titans I can think of... Trypticon and G1 Scorponok. My money is on the Headmaster. I would gladly take G1 predaking over any other bot that are in the game, or not, right now. Yes, in the final mission Megatronus mentions that he has found I Titan, and that it is a Decepticon! Leaning toward Trypticon. Scorponok wasnt technically a Titan, he was just really big, and Predaking was a combiner. It could also be the Necrotitan from the IDW series, but they havent really delved into IDW yet so much. Unless they are using the wrong term, a Titan is not a combiner. I'm thinking Predaking also. Definitely not gonna be Scorpinok...since we just got one of those...and Predaking has been in the files for a while now. He'd be a welcome addition. Yep, the Fallen mentions a Decepticon planetoid Titan, but that could only mean UNICRON, no? As much as I want Unicron, I would prefer if he came into play much later. 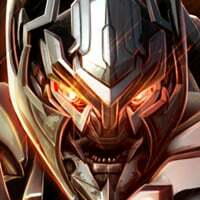 Establish different threats like Nemesis Prime, BW Megatron, Bayverse Fallen, or Thunderwing. Then after that, Unicron would be the endgame. maybe we are taking the word titan too literally? I mean a titan could just be something giant couldn't it? Yea same, I really hope it's Predaking too. Still my fav bot/combiner out of all the Transformers, and when I started to play this game, I couldn't even imagine to get my hands on him here. So if he actually comes out, that would be a no brainer for me, garbage or not, he will be mine. Seems to make sense. There is something mentioned about dwelling on a titan....so dwelling, as in living in, could only mean the planet and that can only be Unicron? 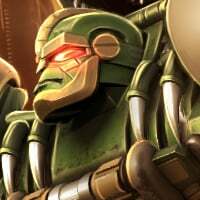 Skorponok was "just" a Decepticon Leader, big, but not a Titan. Here Megatronus mentioned Caminus, but we know that Caminus is the titan/city from where Windblade came from, so we are talking about that kind of entity. While Unicron may be considered a Titan (but even in this case, it should be something else) I hardly see how he could be considered both a Decepticon and a possible ally. 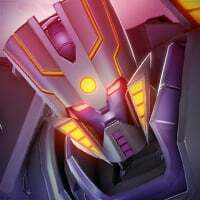 In the Aligned/Generations continuity, Megatronus was the first Decepticon, but also he, along the other Primes like Solus, was created to fight and defeat Unicron, wich they did, so again, hardly to see how Megatronus could see Unicron as ally. About Predaking, it's true that he's a Titan Class figure, but yeah, he's a combiner, not a real Titan (meant as city/giant bot) and also we already got one of his members in the game, Tantrum, so in this case too it's hard to see how Megatronus could have found the combiner. About Trypticon, he's a city bot, giant, and recognized as Titan both in the Machinima Cartoon and in the IDW Generation-based comics, so my main guess, so far it's him. I need to read again that part of dialogues, because I read Megatronus using a female term for referring to the titan, so it should block away the Trypticon too. Maybe it''s a Titan made up for the game. The one that intrigues me the most is the Titan called Quintessa. Plus Prime brought up cityspeaker. That’s not used for combiners. you resolved my biggest question about that. But the wiki did say quintessa was linked to the dead realm. Fortress maximus or metroplex would be awesome!